Home Tags Posts tagged with "brazil corruption"
Brazilian President Michel Temer has been accused of corruption after he allegedly pressured former Culture Minister Marcelo Calero to engage in corrupt practices. Marcelo Calero, who stepped down last week, alleged that President Temer coerced him to help another minister in a personal business deal. He said he was asked to allow construction of luxury apartments in a historic district of Salvador. Marcelo Calero had previously blocked the plans. President Temer has denied the allegations. However, he admitted talking to Marcelo Calero about the project. Michel Temer has vowed to clean up corruption in Brazil, but has lost three ministers to corruption allegations. The scandal involves government secretary Geddel Vieira Lima, who had bought a property in Salvador in Bahia state. Marcelo Calero’s ministry vetoed the construction, on the grounds that the proposed building was on a heritage site. He told the police both the president and the minister had pressured him to overturn the decision. Earlier this week, an ethics panel decided to open an investigation into Geddel Vieira Lima over the allegations, before Michel Temer’s alleged involvement came to light. Despite pressures to sack Geddel Vieira Lima, the president said the minister will keep his job. Michel Temer came to power earlier this year, after former President Dilma Rousseff was impeached during a lengthy political crisis that gripped the country. Dilma Rousseff was accused of manipulating the budget, but maintained her innocence and said that her political opponents have carried out a “parliamentary coup”. Michel Temer has since tried to maintain a stable government, but has been plagued with corruption allegations against his own party. Brazil’s ex-President Luiz Inacio Lula da Silva will be tried for corruption and money laundering over an alleged scheme at the state oil company, Petrobras, a judge has said. Brazilian prosecutors say Lula da Silva accepted 3.7 million reais ($1.11 million) in bribes connected to the multi-billion dollar scheme. Luiz Inacio Lula da Silva, 70, had already been charged in August with allegedly obstructing investigations. The former president denies any wrongdoing and says the accusations are politically motivated. “I am sad,” he said. “It is a big farce, a big lie, a big pyrotechnic show. Judge Sergio Moro, who is overseeing Operation Car Wash, the investigation into corruption allegations at Petrobras, said there was “sufficient evidence of [Lula’s] responsibility”. The money that Luiz Inacio Lula da Silva allegedly received was laundered through the purchase and renovation of a beach apartment, prosecutors say. The flat was built by a construction company implicated in the scandal. Lula’s wife, Marisa Leticia, and six others have also been indicted. The former leader was accused by prosecutors of being the “boss” of the scheme, estimated to have cost Petrobras more than $2 billion. Several politicians and Petrobras executives have been arrested and sentenced as a result of the two-year inquiry. Investigators believe overpriced contracts with Petrobras were given in return for bribes. Some of the illicitly-obtained money was used to finance the electoral campaign of top Brazilian politicians, they allege. Luiz Inacio Lula da SIlva, who served as president between 2003 and 2011, was one of Brazil’s most popular leaders and is seen as a possible candidate for the 2018 presidential elections. However, the popularity of his Workers’ Party plummeted this year and his chosen successor Dilma Rousseff was impeached last month. A criminal conviction would bar Lula da Silva from running in 2018. Brazil’s Congress has expelled ex-Speaker Eduardo Cunha after he denied having millions of dollars hidden in Swiss bank accounts. Information from Swiss authorities proved the existence of the accounts. Eduardo Cunha – seen as the architect of former President Dilma Rousseff’s impeachment – could now face arrest. Dilma Rousseff was removed last month for moving funds between government budgets, which is illegal under Brazilian law. During a bitter debate on September 12, Eduardo Cunha accused her supporters of seeking revenge against him. 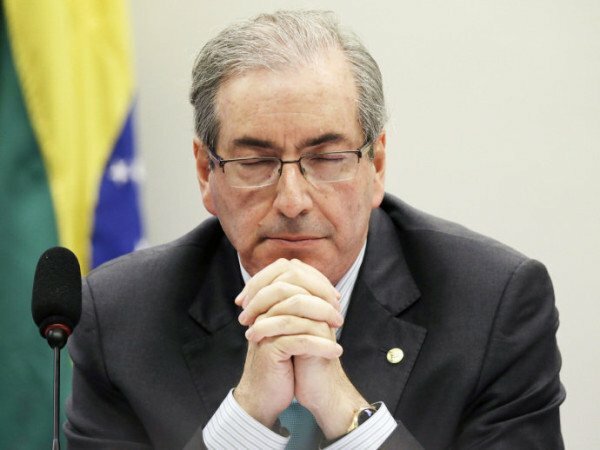 Eduardo Cunha is also known as the “keeper of secrets” in Congress, where dozens of other politicians are also accused of fraud and has suggested he may cooperate with investigators into a wide ranging corruption scandal. He is also being investigated by the Supreme Court for allegedly taking millions of dollars in bribes to secure contracts with state oil giant, Petrobras. Petrobras is at the centre of a massive kickbacks scandal which cost the company $2 billion and has led to the arrest of dozens of lawmakers and top businessmen. At least three businessmen have said under interrogation that they paid bribes to Eduardo Cunha, which they deposited in his overseas accounts. Along with his seat, Eduardo Cunha has lost the partial immunity from prosecution that comes with being an elected representative. In March 2015, Eduardo Cunha stated that he did not have “any type of account anywhere that is not declared on my income tax”. However, the Swiss authorities later gave information to a corruption inquiry in Brazil stating that Eduardo Cunha and his wife, Claudia Cruz, were beneficiaries of secret accounts worth about $5 million. Brazil’s President Dilma Rousseff has been removed from office for manipulating the budget after Senators’ impeachment vote. The Senate’s vote puts an end to the 13 years in power of her left-wing Workers’ Party. 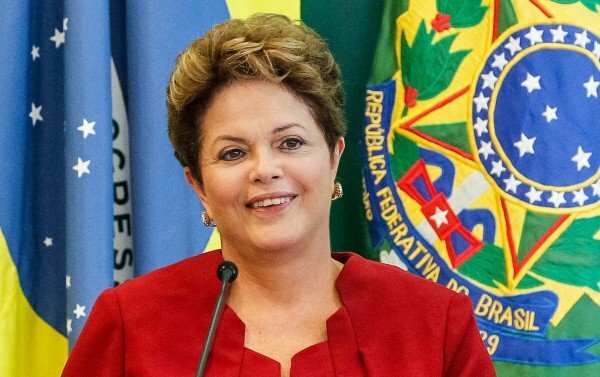 Dilma Rousseff had denied the charges. Sixty-one senators voted in favor of Dilma Rousseff’s dismissal and 20 against, meeting the two-thirds majority needed to remove her from the presidency. Michel Temer has been sworn in as president and will serve out Dilma Rousseff’s term until January 1, 2019. The center-right PMDB party politician had been serving as acting president during the impeachment proceedings. However, Dilma Rousseff did win one battle on August 31 – a Senate vote on banning her from public office for eight years failed to pass, meaning she could in theory return to politics. Venezuela’s leftist government reacted to the vote by removing its ambassador and freezing relations with Brazil. Dilma Rousseff was suspended in May after the Senate voted to go ahead with the impeachment process. She was accused of moving funds between government budgets, which is illegal under Brazilian law. Dilma Rousseff’s critics said she was trying to plug deficit holes in popular social programs to boost her chances of being re-elected for a second term in October 2014. She fought the allegations, arguing that her right-wing political rivals had been trying to remove her from office ever since she was re-elected. Dilma Rousseff said that she was being ousted because she had allowed a wide-ranging corruption investigation to go ahead, which resulted in many high-profile politicians being charged. Senators who voted in favor of her removal said it was Dilma Rousseff and the Workers’ Party who were corrupt and needed to go. Brazilians have been divided on the issue, with many expressing their support and loyalty to Dilma Rousseff while others have taken part in large demonstrations demanding that she stand down. Michel Temer has promised to boost Brazil’s economy, which is going through its longest and deepest recession in the past quarter of a century. Brazil’s ex-President Luiz Inacio Lula da Silva is to go on trial for obstruction of justice in a case related to the scandal at state oil company Petrobras, court documents show. The Petrobras affair has already seen dozens of politicians and officials arrested. Luiz Inacio Lula da Silva, with six others, is accused of hampering Operation Car Wash, the investigation into the scandal. The date for the trial has not yet been set. Those also charged on July 29 include former senator Delcidio Amaral and investment banker Andre Esteves. They have been accused of trying to prevent former Petrobras director Nestor Cervero from testifying in a plea bargain deal. Nestor Cervero was jailed for being the mastermind of the Petrobras scandal. It is understood that the accusation against Lula is a result of a plea bargain testimony by Delcidio Amaral. In May, Brazil’s Attorney General Rodrigo Janot accused Luiz Inacio Lula da Silva of playing a key role in the Petrobras case, which is estimated to have cost the company more than $2 billion. 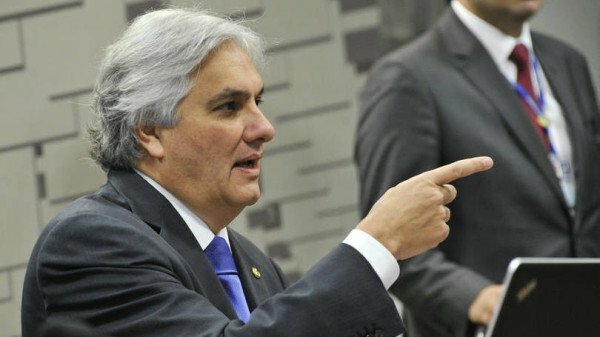 Rodrigo Janot said the corruption could not have taken place without the former president’s participation. Luiz Inacio Lula da Silva made a comeback to frontline Brazilian politics in March, when President Dilma Rousseff nominated him as her chief of staff. A judge then suspended Lula’s nomination saying it had been aimed at protecting him from possible prosecution. Operation Car Wash was launched two years ago by prosecutors focusing initially on money laundering. They say that their investigations have since uncovered a complex corruption scheme at Petrobras. Brazilian prosecutors allege the scandal was used to finance the electoral campaigns of senior politicians. Several politicians and Petrobras executives have been arrested and sentenced. Some of them have agreed to testify against other suspects in exchange for more lenient sentences, taking the investigation to a new level. Brazil’s suspended President Dilma Rousseff has condemned the move to impeach her as a “coup” and a “farce”, denying she has committed any crimes. Dilma Rousseff, 68, was addressing the nation on TV for the first time since senators voted overnight to suspend her for budgetary violations and put her on trial. She vowed to fight the “injustice” by all legal means. Vice-President Michel Temer has now officially taken over as interim leader and has appointed a team. Respected conservative Henrique Meirelles, who headed the central bank under leftist ex-President Luiz Inacio Lula da Silva, becomes finance minister. Michel Temer will serve while Dilma Rousseff’s trial takes place. It may last up to 180 days, which would mean Dilma Rousseff would be suspended during the Olympic Games in Rio de Janeiro, which start on August 5. Brazil’s senators had voted to suspend her by 55 votes to 22 after an all-night session that lasted more than 20 hours. Dilma Rousseff is accused of illegally manipulating finances to hide a growing public deficit ahead of her re-election in 2014. Branding the process “fraudulent” and saying her government was “undergoing sabotage”, Dilma Rousseff vowed to fight the charges against her and said she was confident she would be found innocent. She accused the opposition of leading the impeachment because they had vehemently opposed all the advances she and her predecessor, Luiz Inacio Lula da Silva, had made for the Brazilian poor and lower middle classes. After her speech, Dilma Rousseff left the presidential palace and shook hands with supporters lining the pathway. In another speech outside Dilma Rousseff told supporters she could feel their “love and energy” on what she called a “tragic” day for the country. Meanwhile, Michel Temer has nominated a 21-strong cabinet. Brazil’s Lower House Speaker Eduardo Cunha has been suspended by the Supreme Court, following a request by the country’s attorney general, officials say. Eduardo Cunha has been accused of trying to obstruct a corruption investigation against him and intimidating lawmakers. He is an outspoken critic of President Dilma Rousseff and has led an impeachment drive against her. Next week, the Senate is due to vote on whether to launch an impeachment trial against Dilma Rousseff. If a simple majority votes in favor, Dilma Rousseff will be suspended from office for 180 days while Vice-President Michel Temer takes over as interim president. Under Brazil’s constitution, Eduardo Cunha was the next in line for the presidency after Michel Temer, who is facing impeachment proceedings on charges similar to those facing Dilma Rousseff. Dilma Rousseff has accused Michel Temer and Eduardo Cunha, who belong to the opposition PMDB party, of being the ringleaders of a “coup attempt” against her. Eduardo Cunha is suspected of obstructing an investigation into allegations he took $5 million in bribes from companies seeking to secure contracts with state-oil giant Petrobras, which he denies. Petrobras is at the centre of a massive kickbacks scandal which has led to the arrest of dozens of lawmakers and top businessmen. Waldir Maranhao, who is also under investigation for his alleged role in the Petrobras corruption scandal, is to become the next Speaker of the House. Brazil’s Supreme Court has been asked by Attorney General Rodrigo Janot to authorize the start of corruption investigations against prominent opposition leader Aecio Neves. Senator Aecio Neves, who narrowly lost the 2014 election to President Dilma Rousseff, was previously included in a list of some 50 politicians thought to have taken bribes originating from state-run companies, including electricity company Furnas. The case is linked to the huge corruption scandal that has rocked Brazilian politics over the past year. Aecio Neves denies any wrongdoing. If the Supreme Court agrees to open an investigation, the senator will be called to testify within 90 days, Folha de Sao Paulo newspaper reported. The case is based on allegations made by Senator Delcidio Amaral as part of a plea bargain. A former leader of the Workers’ Party in the Senate, Delcidio Amaral was arrested in November. Senator Delcidio Amaral had been secretly recorded allegedly discussing plans to help a detained official flee Brazil in return for not implicating him in a major corruption scandal at Petrobras. He was released in February after he agreed to testify against other suspects. Delcidio Amaral said that Aecio Neves had received bribes from officials at Furnas. He said the scheme was similar to that operated at Petrobras: Brazil’s top construction companies paid bribes to politicians, political parties and senior executives at the company in order to secure lucrative overpriced contracts. Aecio Neves’s office rejected the allegations, with an aide telling reporters: “References to Senator Aecio’s name are all based on hearsay. There is no proof or evidence of any irregularity. 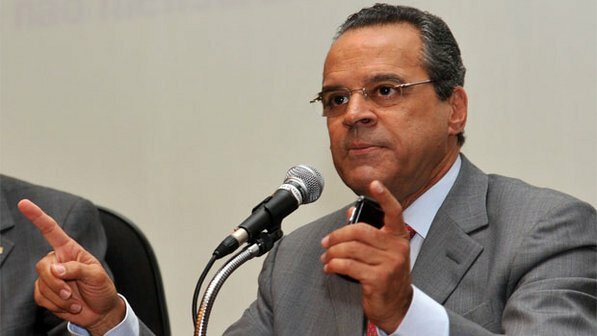 Rodrigo Janot has also requested the opening of a corruption probe against other senior politicians and officials, the Speaker of the lower house of Congress, Eduardo Cunha, and President Dilma Rousseff’s press secretary Edinho Silva. Brazil has recovered $125 million siphoned off to foreign bank accounts by corrupt officials, politicians and businessmen. The record figure recovered in 2015 is eight times more than what was repatriated over the previous decade, the Justice Ministry has reportedly said. Officials say their policy of negotiating plea bargains with suspects has helped them recover assets. Much of the money had been diverted from the state oil company Petrobras. Dozens of Brazilian executives and politicians have been arrested or are under investigation on suspicion of overcharging contracts with Petrobras as part of an inquiry known as Operation Car Wash. According to authorities, part of the diverted money had been used to pay for bribes and electoral campaigns. It is believed the scheme had cost Petrobras $2 billion. By contrast, between 2005 and 2014, Brazilian officials managed to recover $15 million, local newspaper Folha de S.Paulo reported. From the amount repatriated in 2015, $95 million was linked to the Car Wash investigation. 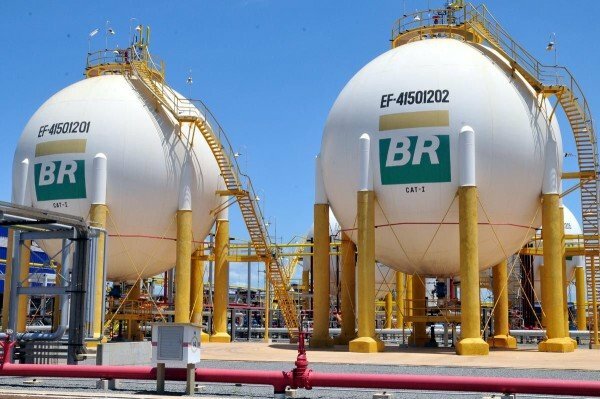 The money had been diverted to Switzerland and returned to Brazil, the report said, adding that most of it was expected to be returned to Petrobras. Brazil’s lower house, Chamber of Deputies, has voted to start impeachment proceedings against President Dilma Rousseff. 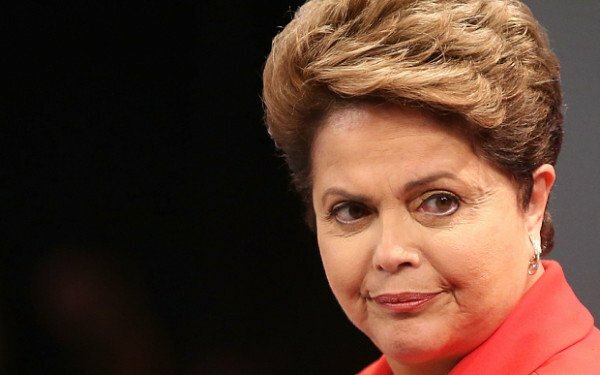 Dilma Rousseff is accused of manipulating government accounts. The “yes” camp comfortably won the required two-thirds majority, after a lengthy session in the capital. The motion will now go to the upper house, the Senate, which is expected to suspend Dilma Rousseff next month while it carries out a formal trial. The 68-year-old president denies tampering with the accounts to help secure her re-election in 2014. Her ruling Workers’ Party has promised to continue its fight to defend her “in the streets and in the Senate”. Dilma Rousseff’s opponents secured 367 votes in the lower house – exceeding the 342-vote mark needed to send the motion to the Senate. The “no” camp secured 167 votes, while seven other deputies abstained. Two deputies were not present during the voting. Voting began after passionate statements from lawmakers and party leaders in a session broadcast live on television as well as on large screens in city centers. If the Senate votes for impeachment, Dilma Rousseff will be put on trial in the upper chamber and will be removed from office permanently if found guilty. She has two opportunities to appeal during the whole process. Hundreds of thousands of protesters watched the voting marathon on huge TV screens in cities across the country – Dilma Rousseff’s supporters wearing red and her opponents wearing the green and yellow of the Brazilian flag. Some 25,000 protesters from both sides were outside the Congress building – separated by a makeshift 6.5ft high metal wall, that stretches for 0.6 miles. The “yes” camp burst into celebrations even before the two-thirds of the votes had been secured. The atmosphere has so far been peaceful and almost festive with music, fancy dress and people blowing trumpets and vuvuzelas. Dilma Rousseff has vigorously denied any wrongdoing, and on April 16 wrote in one newspaper her opponents wanted to “convict an innocent woman and save the corrupt”. Brazil’s Progressive Party (PP) has announced it is quitting the governing coalition ahead of President Dilma Rousseff’s impeachment vote. The president is now dealing with a further blow to her bid to stave off impeachment. The PP said most of its 47 lawmakers would vote for Dilma Rousseff to be impeached. Last month the PMDB, the largest party in Brazil’s governing coalition, also voted to leave. Dilma Rousseff, who faces an impeachment vote in the lower house on April 17, says her opponents are plotting a “coup”. They claim she manipulated accounts to hide Brazil’s growing deficit ahead of her election campaign two years ago. Dilma Rousseff denies this and her supporters say the issue is not valid grounds for impeachment anyway. The PP is the fourth-largest party in the 513-seat lower house but it is not clear how its departure from the government might affect April 17 vote. A two-thirds majority – 342 alawmakers – is needed to send the impeachment case to the Senate. A recent poll, before the PP’s announcement, showed 300 in favor of impeachment and 125 opposed, leaving 88 lawmakers still undecided or not stating their position. On April 122, Dilma Rousseff suggested that Vice-President Michel Temer was one of the ringleaders of the “coup” attempt against her. She said a widely distributed audio message of Michel Temer appearing to accept replacing her as president, was evidence of the conspiracy. However, she did not identify him by name. “They now are conspiring openly, in the light of day, to destabilize a legitimately elected president,” Dilma Rousseff said. She referred to “the chief and… the vice-chief” of the plot, an apparent reference to Michel Temer and lower house speaker Eduardo Cunha. Brazil is “living in strange times”, she said, “times of a coup, of farce and betrayal”. Michel Temer has said that the message was released by accident. 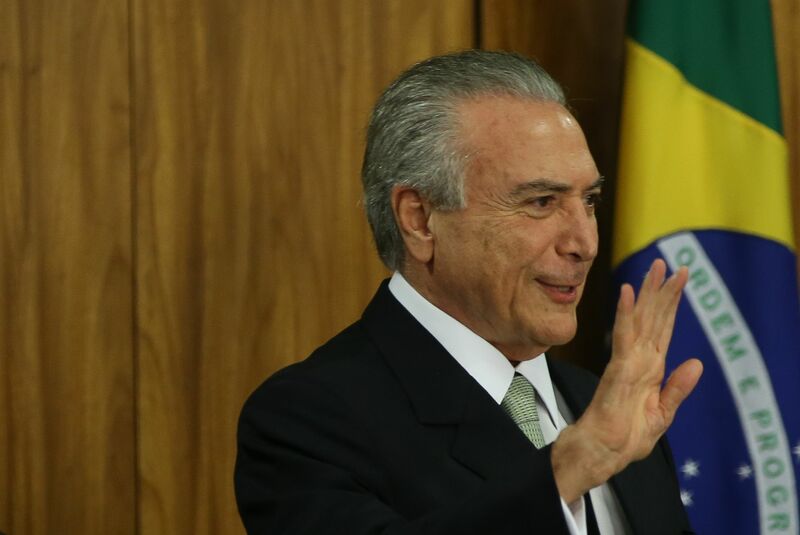 Speaking in an interview with the conservative Estado de Sao Paulo newspaper on April 12, Michel Temer argued that he had spent weeks away from the capital Brasilia specifically so that no-one could accuse him of plotting behind the scenes. On Monday evening, amid rowdy scenes, a 65-member congressional committee voted 38 to 27 to recommend going ahead with impeachment proceedings. Lawmakers are due to start debating on April 15, officials said, with voting beginning on April 17 at about 14:00. The result should be known later in the evening. Security is expected to be stepped up around the Congress building in Brasilia as the vote takes place. While President Dilma Rousseff’s opponents say the impeachment is supported by most Brazilians, the president’s supporters have labeled it a flagrant power grab by her political enemies. If Dilma Rousseff and Michel Temer are both suspended from office, the next in line to assume the presidency is Eduardo Cunha. However, Eduardo Cunha is facing money-laundering and other charges. A Brazilian congressional committee voted to go ahead with President Dilma Rousseff impeachment proceedings. The 65-member committee voted 38 to 27 to recommend impeachment over claims Dilma Rousseff manipulated government accounts to hide a growing deficit. All eyes will now be on a full vote in the lower house on April 17 or 18. The issue has divided Brazil, with police preparing for mass protests in the capital, Brasilia. The vote took place amid chaotic scenes with supporters and opponents of President Dilma Rousseff shouting slogans and waving placards. The committee’s vote is largely symbolic, but has been watched as a measure of how much support there is for the impeachment process ahead of the crucial vote in the full lower house of Congress, correspondents say. There, a two-thirds majority is needed to send the matter on to the Senate. The latest opinion poll by the Estadao daily suggests 292 of the 513 members are in favor, with 115 against and 106 undecided. The Senate would then have the power to suspend Dilma Rousseff, put her on trial and ultimately drive her from office. During a bad-tempered debate leading up to the vote, Attorney General Jose Eduardo Cordozo, speaking for the president, said the impeachment process was “flawed”. “It is absurd to dismiss a president who has not committed crimes, nor stolen a penny. And such a process without crime or fraud, would be a coup,” he said. Opposition lawmaker Vanderlei Macris said Dilma Rousseff’s impeachment would be important to Brazilian society and would bring change. Two more senior Brazilian officials have stepped down in the latest blow to President Dilma Rousseff’s government. They are Sports Minister George Hilton and Col. Adilson Moreira, who was organizing security at the Olympic Games in Rio de Janeiro in August. Col. Adilson Moreira reportedly wrote that he was ashamed Brazil was being led by “an unscrupulous group”. The resignations come as President Dilma Rousseff battles for her government’s survival in an impeachment process. Col. Adilson Moreira led the National Force for Public Security, whose members will guard sporting venues during the Olympics. Brazilian media reported the colonel had sent an email to his colleagues criticizing President Dilma Rousseff and other senior officials. Brazilian officials said the planning for the Olympic Games would not be affected by Col. Adilson Moreira’s and George Hilton’s resignations. Dilma Rousseff’s supporters marched on March 31 in a number of Brazilian cities to show their opposition to the impeachment proceedings. On March 28, Tourism Minister Henrique Eduardo Alves handed in his letter of resignation, pre-empting his PMDB party’s split from the governing coalition. The PMDB was the largest partner in the governing coalition and its exit could deprive Dilma Rousseff of crucial votes she needs to block impeachment proceedings against her. Dilma Rousseff is expected to announce sweeping changes to her cabinet on April 1 to replace up to seven ministers from the PMDB party. The president’s critics say she is trying to buy the votes of smaller parties by offering them posts in the cabinet. Congress is expected to start voting next month on whether to remove Dilma Rousseff from office over allegations that she manipulated accounts to hide a growing deficit. If 172 out of the 513 members of the lower house of Congress vote against Dilma Rousseff’s impeachment, the proceedings will be shelved. However, if 342 members vote for it, President Dilma Rousseff will be suspended for 180 days and Vice-President Michel Temer of the PMDB party will become interim president. The impeachment would then by reviewed by the upper house, the Senate, and a final decision be taken in October. Dilma Rousseff has denied any wrongdoing and has likened the moves to impeach her to an attempted coup. Separately, ex-President Luiz Inacio Lula da Silva continues to be investigated as part of a corruption case involving the state-run oil company Petrobras. On March 31, Luiz Inacio Lula da Silva was handed a boost as Brazil’s Supreme Court ruled it would take over the case. 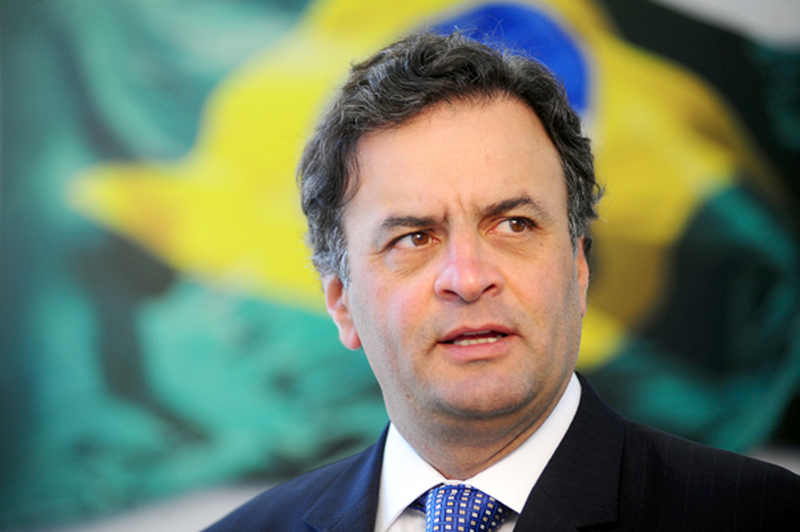 Brazil’s tourism minister Henrique Eduardo Alves has stepped down before vote on President Dilma Rousseff’s coalition. Opposition lawmakers want to remove Dilma Rousseff over claims she manipulated accounts to hide growing deficit. Officials from Dilma Rousseff’s coalition allies, the Brazilian Democratic Movement Party (PMDB), will vote to leave the alliance on March 29, members said. Tourism Minister Henrique Eduardo Alves became the first PMDB member to resign from government on March 28. Dilma Rousseff, a former political prisoner during Brazil’s military government, began her second term in office 14 months ago. However, her popularity has plummeted amid corruption allegations around senior members of the governing Workers’ Party. The speaker of the lower house of Congress, Eduardo Cunha, agreed in December to open impeachment proceedings against her. Last week, Dilma Rousseff, who denies wrongdoing, said the procedure amounted to a coup. She met officials from the PMDB ahead of that party’s national leadership meeting on March 29. However, a number of lawmakers from the PMDB said ahead of the meeting that most members had already decided to abandon the coalition. The PMDB is headed by Michel Temer, Dilma Rousseff’s deputy, who would become president should she be removed. The loss of support by his party’s 69 lawmakers could have consequences for the impeachment proceedings. Dilma Rousseff needs the support of a third of the 513 members of the lower house of Congress to stave off impeachment. The Workers’ Party has been in power since former President Luiz Inacio Lula da Silva was sworn in for his first term in 2003. It has been hit by a long-running investigation into bribes from contractors working for state oil company Petrobras. 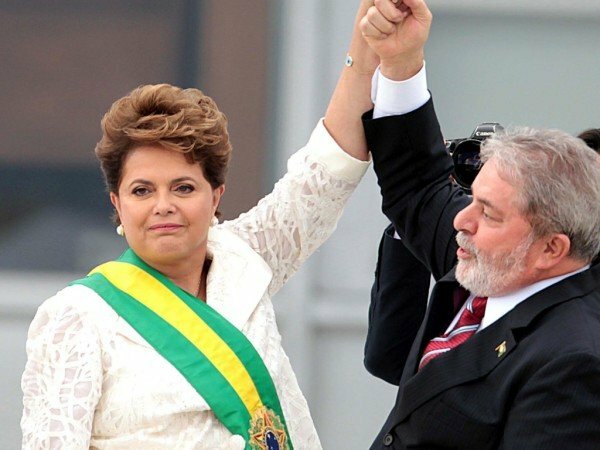 A recent attempt by Dilma Rousseff to appoint Luiz Inacio Lula da Silva as her chief of staff was seen by critics as an attempt to shield him from money-laundering charges – which he denies – connected with the case. His appointment was blocked by a judge earlier this month. Luiz Inacio Lula da Silva said on March 28 he expected Dilma Rousseff to survive growing pressure, and said he would speak to Michel Temer to work out how to save her job. Protests involving tens of thousands of people have taken place across Brazil to call for Dilma Rousseff’s impeachment. According to poll by the Datafolha poll in late February, only 11% of respondents across the country said President Dilma Rousseff’s performance was “good or excellent”. Brazilian President Dilma Rousseff has said she will take legal action against Senator Delcidio Amaral who has accused her of involvement in corruption at the state oil company Petrobras. Delcidio Amaral said Dilma Rousseff knew of wrongdoings and tried to block investigations. Dilma Rousseff has denied any involvement. Meanwhile, the new justice minister has threatened to remove teams from the Petrobras inquiry if any more material is leaked to the press. In a statement, Brazil’s presidency said Dilma Rousseff will sue Senator Delcidio Amaral for defamation over his interview with a magazine. Delcidio Amaral was the leader of her Workers’ Party in the Senate and had agreed a plea bargain with prosecutors after being arrested as a result of the Petrobras scandal. The inquiry has led to the arrest or investigation of dozens of executives and politicians, suspected of overcharging for contracts with Petrobras and using part of the money to pay for bribes and electoral campaigns. There is widespread public support for the investigation, known as Operation Car Wash, but Dilma Rousseff and her allies have criticized its leading judge, Sergio Moro. They argue the inquiry has become politicized and some of his actions have been illegal. Last week, Judge Sergio Moro released phone recordings suggesting Dilma Rousseff had appointed her predecessor Luiz Inacio Lula da Silva as her chief of staff to spare him arrest over money-laundering charges he denies. Even though Dilma Rousseff vehemently denies it, Supreme Court judge Gilmar Mendes has suspended Luiz Inacio Lula da Silva’s nomination, and a final decision is yet to be announced. If Luiz Inacio Lula da Silva is a minister, any charges against him can only be dealt with by the Supreme Court, which operates more slowly, and not by Sergio Moro. Earlier this month, Luiz Inacio Lula da Silva was briefly detained and questioned at Sergio Moro’s request. Dilma Rousseff’s supporters have also criticized leaks of questioning and details of the investigation to the media. New Justice Minister Eugenio Aragao questioned the publication of the unverified phone tap conversations between Dilma Rousseff and Lula and said the Car Wash investigation was losing its objectivity. The release of the recordings has also been criticized by Supreme Court judge Marco Aurelio Mello, who has questioned its legality. However, the content of the phone calls has increased pressure on Dilma Rousseff, who is facing growing calls for her removal. Additionally, there has been a resurgence in allegations of media bias against Dilma Rousseff and her Workers’ Party. Much of the criticism has been against Globo, Brazil’s largest media group and one of the biggest in the world, allegations it denies. 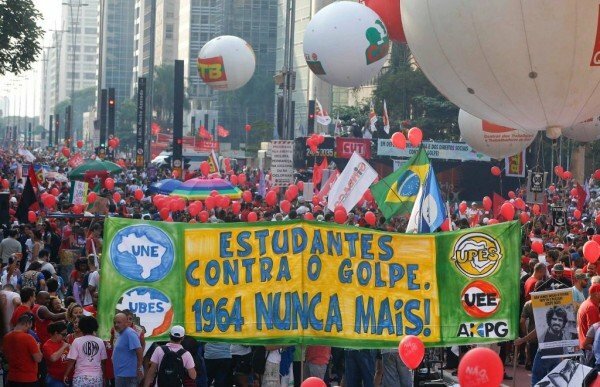 In 2013, Globo issued an announcement about its support of the 1964 military coup, which led to a two-decade military dictatorship, and admitted it had made a “mistake”. Tens of thousands of people have joined pro-Dilma Rousseff rallies in Brazil to show support for the president who is facing calls for her impeachment. Earlier, police used tear gas on anti-government protesters in Sao Paulo. Several protests against Dilma Rousseff erupted two days ago after she appointed the former Brazilian president, Luiz Inacio Lula da Silva, as a minister. Meanwhile, a Supreme Court judge has suspended Luiz Inacio Lula da Silva’s nomination as minister. The decision is not final, and the government can appeal. In naming Luiz Inacio Lula da Silva, Dilma Rousseff is accused of shielding him from charges of money-laundering, which he denies. The former president also said the opposition did not accept the results of the 2014 election, in which Dilma Rousseff was re-elected for another four-year term. “Democracy is the only way to allow people to participate in government’s decisions,” he told a cheering crowd. Luiz Inacio Lula da Silva said he was joining Dilma Rousseff’s government to help the country and said Brazil, which is in its worst recession in decades, needed to resume growth. Organizers said about 300,000 people demonstrated there, but the respected Datafolha institute put that number at 95,000. 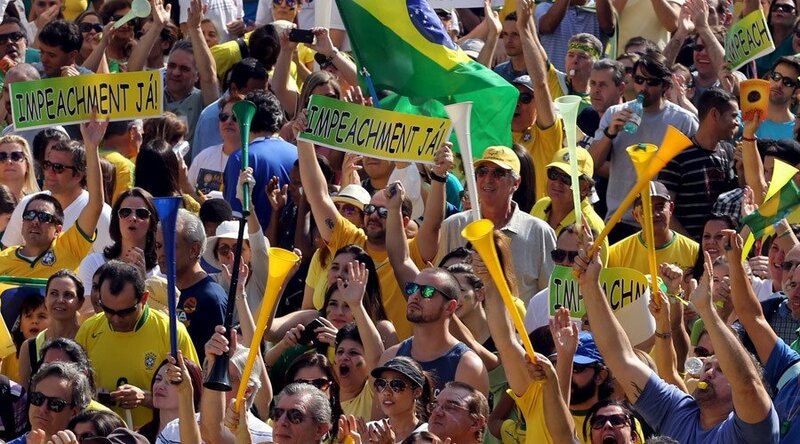 Smaller rallies were also held in Rio de Janeiro, Brasilia and dozens of other cities. Hours earlier, riot police dispersed anti-government protesters who had blocked the same central Sao Paulo thoroughfare since March 16, when demonstrations erupted against Luiz Inacio Lula da Silva’s appointment as minister. The nationwide rallies on March 18 were the first time the government had massed the ranks of supporters since Luiz Inacio Lula da Silva was briefly arrested earlier this month. They came after mass protests across Brazil on March 13 against corruption and calling for Dilma Rousseff’s departure. Estimates of the turnout range from one million to three million demonstrators. Opponents who have called for Dilma Rousseff’s removal also accuse her of economic mismanagement and involvement in a sprawling corruption scandal in the state oil company Petrobras. Dilma Rousseff denies wrongdoings, and has accused her rivals of mounting a “coup” against her. The president insisted that she appointed Luiz Inacio Lula da Silva, who had started to make overtures to stand for president in 2018, to help her rebuild her political base in Congress and fight the impeachment proceedings. However, Supreme Court judge Gilmar Mendes suspended Luiz Inacio Lula da Silva’s nomination as chief of staff on March 18, saying it was an intention to interfere in investigations. Opponents had argued that Dima Rousseff’s decision was unconstitutional and obstructed justice, as it was a move made to grant Luiz Inacio Lula da Silva immunity from money-laundering charges that he denies. As a minister, any charges against the former leader could only be dealt with by the Supreme Court, which operates more slowly, and not by the judge in the southern city of Curitiba who is overseeing Operation Car Wash into allegations of corruption at Petrobras. Dilma Rousseff and her supporters accuse judge Sergio Moro of political interference. Meanwhile, an impeachment committee in the lower house of Congress held its first session on March 18 and said it expected to reach a decision within a month on whether to recommend removing Dilma Rousseff. The process is over allegations that Dilma Rousseff broke the law managing the federal budget in 2014, when she was running for re-election. The appointment of Brazil’s ex-leader Luiz Inacio Lula da Silva as chief of staff to President Dilma Rousseff, has been blocked by a federal judge shortly after the former president was sworn in. Judge Sergio Moro’s injunction said there was a risk a federal investigation could be derailed if Luiz Inacio Lula da Silva was a minister. In Brazil, cabinet members can only be investigated by the Supreme Court, not by federal courts. Luiz Inacio Lula da Silva is under investigation in connection with a corruption scandal. Prosecutors filed charges against the former president last week accusing him of money laundering and fraud, which he has denied. Luiz Inacio Lula da Silva’s nomination as chief of staff has divided Brazilians. Some said it was a move to shield him from prosecution while others welcomed his return to active politics. Ahead of the former leader’s swearing-in ceremony, groups of supporters and opponents of the government clashed outside the presidential palace. The ceremony itself was interrupted by a protester who cried “Shame!”. The protester was drowned out by supporters of the governing Workers’ Party, who shouted pro-government slogans and Lula’s name. During the ceremony, President Dilma Rousseff praised Luiz Inacio Lula da Silva, who she said was “not just a great politician, but a great friend and comrade of many battles”. “We’ve always stood side by side,” she said. A visibly angry Dilma Rousseff then criticised federal Judge Sergio Moro, who is leading the investigation into a massive corruption scandal at state-oil giant Petrobras. On March 16, Judge Sergio Moro made public a taped phone conversation between President Dilma Rousseff and Luiz Inacio Lula da Silva which has been interpreted by some to show that Lula was given the post of chief of staff to shield him from prosecution. In the conversation, Dilma Rousseff told her predecessor and mentor she would send him the official decree naming him as minister “just to use in case it’s necessary”. The Brazilian president said Judge Sergio Moro had violated the law and the constitution by releasing the tape and that she would order an investigation. 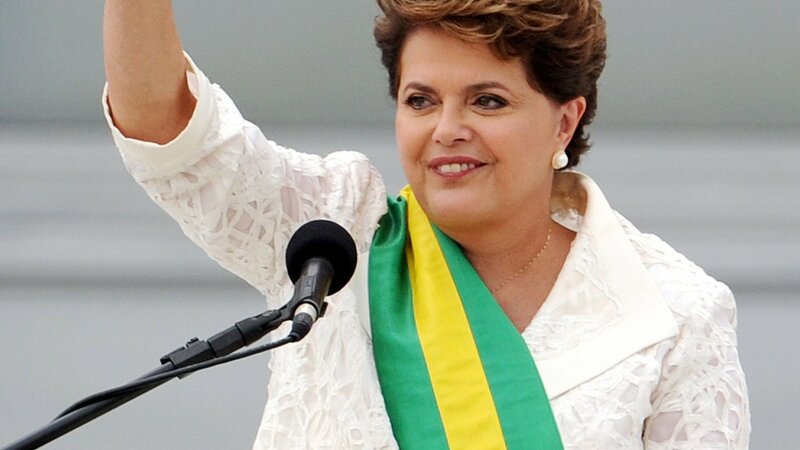 Dilma Rousseff herself is under considerable political pressure. Her critics want to impeach her over allegations she manipulated Brazil’s account books to hide a growing deficit. Analysts say she named Lula chief of staff so he could use his influence with members of Congress to convince them to vote against her impeachment. As more and more members of her Workers’ Party are being investigated over corruption at Petrobras, she is also facing increased questions about what Dilma Rousseff may have known. Dilma Rousseff was head of the board at Petrobras from 2003 to 2010 and has always denied any wrongdoing. On March 13, a record number of people took part in anti-government marches across Brazil. An estimated three million people called for an end to corruption and for Dilma Rousseff’s impeachment. There have also been rallies in support of the government, but they have been smaller than those opposing the administration. The political upheaval comes at a time of economic problems, with Brazil going through its worst recession in more than three decades. 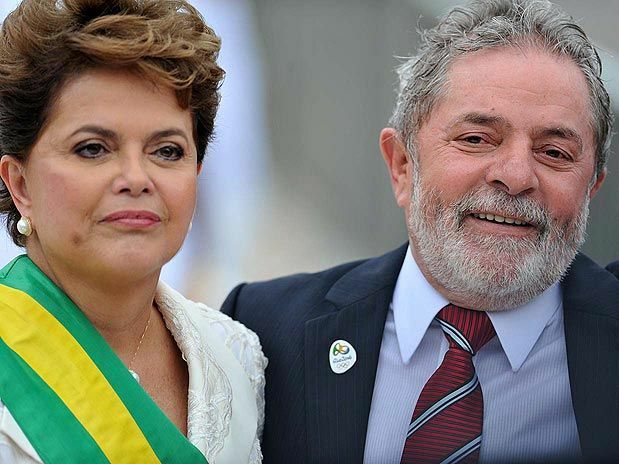 Brazil’s ex-leader Luiz Inacio Lula da Silva has been appointed as President Dilma Rousseff’s new chief of staff. The move shields the former president from possible prosecution by a federal judge investigating a massive corruption scandal named Operation Car Wash.
Luiz Inacio Lula da Silva’s appointment sparked protests in several Brazilian cities by those angry at the decision. However, President Dilma Rousseff said that protecting her mentor and predecessor from prosecution was not the motivation for the appointment. “Lula’s arrival in my government strengthens it and there are people who don’t want it to be stronger,” she said. Under Brazilian law, cabinet members can only be tried by the Supreme Court. 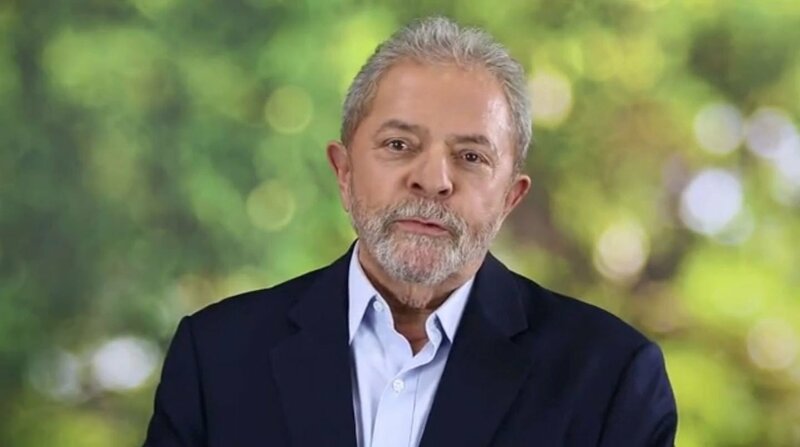 On March 4, Luiz Inacio Lula da Silva was briefly detained and questioned over allegations of money laundering connected to Operation Car Wash, a massive investigation into corruption at the state oil giant, Petrobras. The former president denies the allegations and says they are aimed at preventing him from running for president again in 2018. 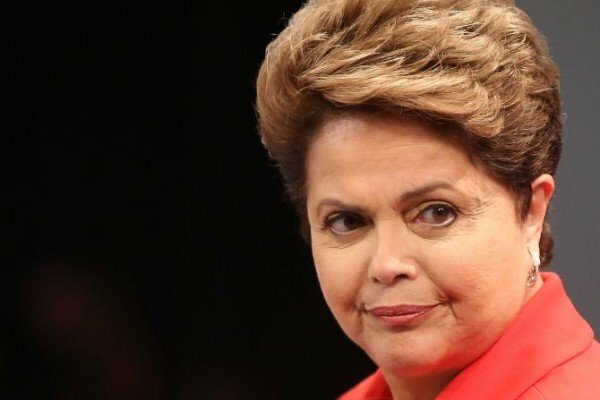 In a taped telephone conversation released by the judge overseeing the investigation, Dilma Rousseff offered to send Luiz Inacio Lula da Silva a copy of his appointment “in case of necessity” – interpreted by some as meaning in case he needed it to avoid arrest. Hours after the announcement of his appointment, protesters gathered outside the Presidential Palace in Brasilia and in at least three other cities. In Congress, opposition politicians gathered around a microphone during a chaotic session and chanted “resignation”. Dilma Rousseff says the appointment is due to Luiz Inacio Lula da Silva being a “skilful political negotiator” and experienced leader who will help kick off economic recovery. During his time in office, the Brazilian economy experienced unprecedented economic growth and wealth redistribution. 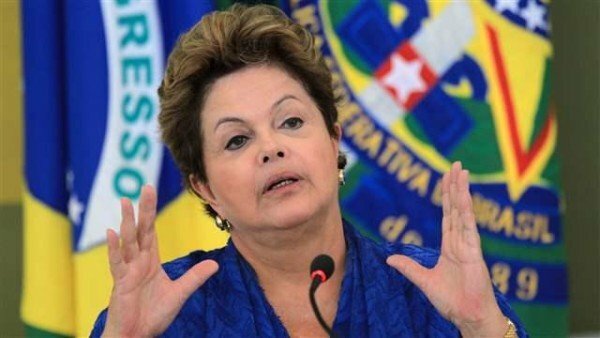 “I believe [former] President Lula, who was in charge of the country for eight years, cannot have his reputation destroyed in this manner,” added Dilma Rousseff. Luiz Inacio Lula da Silva and other ministers appointed on March 16 are expected to be sworn in at 10:00 local time on March 17. As chief of staff, Luiz Inacio Lula da Silva is expected to lead the fight against moves in Congress to impeach President Dilma Rousseff over allegations she manipulated Brazil’s account books to hide a growing deficit. Brazil’s ex-president Luiz Inacio Lula da Silva has accepted a key ministerial role in President Dilma Rousseff’s government, media reports say. Members of the governing Workers’ Party say Luiz Inacio Lula da Silva’s appointment will strengthen Dilma Rousseff’s beleaguered administration. In becoming a minister, Luiz Inacio Lula da Silva will also have some legal protection. Last week, prosecutors requested the former leader arrest in a money laundering inquiry over a luxury sea-front penthouse. Luiz Inacio Lula da Silva has denied any wrongdoing and says the claims are politically motivated. 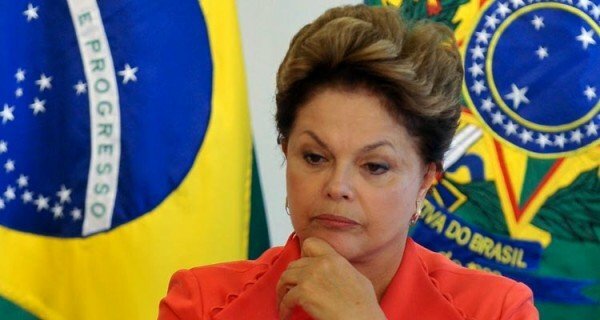 The reports, quoting unnamed sources, said Dilma Rousseff and the former president would meet in Brasilia on March 15. There has been no official comment. Luiz Inacio Lula da Silva handpicked Dilma Rousseff as a candidate to succeed him in 2010, and has not ruled out running again in 2018. Dilma Rousseff has faced increasing calls for her removal as a result of a corruption scandal at the state oil company Petrobras and Brazil’s worst recession in decades. On March 13, hundreds of thousands of Brazilians took to the streets calling for her to go. But the president has repeatedly said she will not resign. Dilma Rousseff could, however, face an impeachment process in Congress, accused of masking the budget deficit, which she denies. One of Luiz Inacio Lula da Silva’s main tasks, the reports said, would be to negotiate with the main coalition partner in order to prevent an impeachment going ahead. His appointment could also be seen as bringing some order to what many analysts consider a chaotic administration. As a minister, Luiz Inacio Lula da Silva could only be tried in the Supreme Court, placing him out of the reach of the judge in the southern city of Curitiba responsible for the Petrobras investigation. Brazil’s President Dilma Rousseff has refused to resign over her alleged mishandling of the economy after moves to impeach her. Dilma Rousseff accused her opponents of causing a political crisis which she said had damaged the economy. She also defended her predecessor, Luiz Inacio Lula da Silva, over money-laundering allegations. Dilma Rousseff said a prosecutors’ request for his detention had no legal basis. The ongoing crisis has deepened the worst recession in decades in Brazil – Latin America’s biggest economy. Dilma Rousseff said she had been democratically elected and had no intention of going. The inquiry has implicated several business leaders and politicians close to the government including Luiz Inacio Lula da Silva. Regional prosecutors in Sao Paulo want Luiz Inacio Lula da Silva, 70, placed in “preventive custody” after charging him with failing to declare ownership of a luxury sea-front penthouse in the seaside resort of Guaruja. They say this is necessary because he may try to obstruct the investigation. The request still has to be accepted or rejected by a judge. The former president denies any wrongdoing and says the claims are politically motivated. He says he never owned the apartment. His lawyer, Cristiano Zanin Martins, said Brazil’s ex-leader had invested in the project and had visited the unfinished apartment but later asked for his money back rather than receiving the property. President Dilma Rousseff refused to comment on a possible cabinet job for Luiz Inacio Lula da Silva but said she would be proud to have him in her government. Last week, the former president was briefly detained and questioned in a separate, federal investigation into whether extensive refurbishment on the penthouse had constituted favors in exchange for political benefit. The renovations were carried out by one of Brazil’s biggest construction companies, OAS. Officially the apartment belongs to OAS, which is itself accused of paying bribes to politicians and senior officials at state oil company Petrobras to secure lucrative contracts. In addition, federal prosecutors are looking into allegations that Luiz Inacio Lula da Silva sold his influence in President Dilma Rousseff’s administration in exchange for donations to his Instituto Lula non-profit foundation. Last week’s questioning of Luiz Inacio Lula da Silva led to criticism not only from his supporters but also from judges and politicians, who said it was unnecessary. His supporters say the attacks on him are aimed at tarnishing his reputation, amid rumors that he may run for office again in 2018. 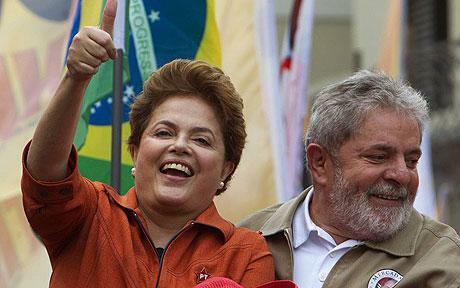 Luiz Inacio Lula da Silva was Brazil’s left-leaning president from 2003 to 2011 and was succeeded in office by his political protégé, Dilma Rousseff, who has record-low approval rates amid a serious economic crisis. A former factory worker and union leader, Luiz Inacio Lula da Silva remains a very popular figure in Brazil despite the accusations against senior members of the Workers’ Party. Brazilian billionaire Marcelo Odebrecht has been jailed for 19 years over a corruption scandal involving the state oil company Petrobras. Marcelo Odebrecht was convicted of paying more than $30 million in bribes to Petrobras officials in exchange for contracts and influence. The Odebrecht group is Latin America’s biggest construction conglomerate. The Petrobras inquiry has led to proceedings against dozens of business executives and ruling party figures. Last week Brazil’s ex-President Luiz Inacio Lula da Silva, also from the governing Worker’s Party, was detained and questioned for his alleged role in the affair. Luiz Inacio Lula da Silva, 70, is suspected of receiving about 30 million reais ($8 million) in speaking fees and donations to his charity, the Lula Institute. The party has held the Brazilian presidency since 2003, both under Luiz Inacio Lula da Silva and his successor Dilma Rousseff. 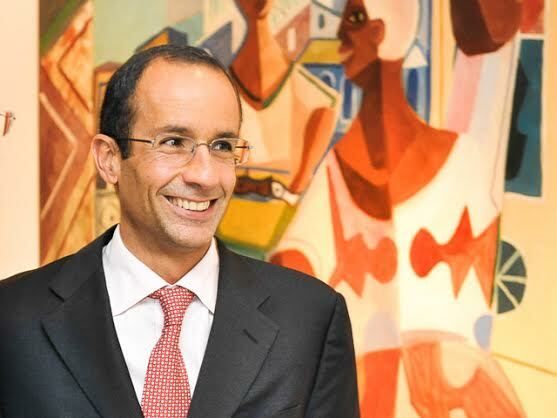 Marcelo Odebrecht was one of Brazil’s richest and most powerful businessmen – with close relations to many top politicians. He was found guilty of money laundering, corruption and taking part in a criminal association. Marcelo Odebrecht had been in prison since June 2015 and stepped down from the company in December 2015 – which was founded by his family. His company built major projects across the continent and in Africa and before the scandal had 181,000 employees in 21 countries. The corruption scandal has cost Petrobras over $16 billion, including $2 billion that went straight to corrupt executives and companies. Petrobras’ investments alone represent 2% of Brazil’s GDP, and its downturn has harmed a national economy struggling as a result of low commodity prices. Brazil’s President Dilma Rousseff has visited ex-leader Luiz Inacio Lula da Silva, a day after he was questioned over corruption allegations at the state oil company, Petrobras. Dilma Rousseff appeared with Luiz Inacio Lula da Silva on the balcony of his apartment and waved to hundreds of people who had gathered below. Luiz Inacio Lula da Silva has said his brief arrest on March 4 is part of a campaign to sully his image and that of Dilma Rousseff. Police are looking into payments and donations made to Luiz Inacio Lula da Silva’s institute. Some of Brazil’s wealthiest people as well as dozens of politicians from both the governing coalition and the opposition are also being investigated for involvement in the alleged Petrobras corruption scheme. Luiz Inacio Lula da Silva, a left-wing icon, left office in 2011. His Workers’ Party has been hit hard by the long-running scandal. After his interrogation on March 4, he told reporters he was the victim of a “prejudice as a working-class man”. Dilma Rousseff turned up at his home on March 5, along with hundreds of people showing support for the former president. Today’s rally was peaceful in contrast to angry scenes on March 4 when protesters clashed with police outside the building. “She is going to meet with Lula as a gesture of solidarity and support,” a press officer at the presidential palace told the Associated Press news agency. Dilma Rousseff later could be seen on the balcony with Luiz Inacio Lula da Silva and his wife Marisa. The Workers’ Party has held the Brazilian presidency since 2003, both under Luiz Inacio Lula da Silva and Dilma Rousseff. In the latest operations, police enforced 33 search and 11 detention warrants in the states of Rio de Janeiro, Sao Paulo and Bahia, officials said. Luiz Inacio Lula da Silva, 70, is suspected of receiving about 30 million reais ($8 million) in speaking fees and donations to his charity. The former president’s home was among the premises targeted, as was the headquarters of the institute in Sao Paulo. Andre Esteves, one of Brazil’s richest businessman, has been arrested as part of the corruption investigation into the state oil giant Petrobras. 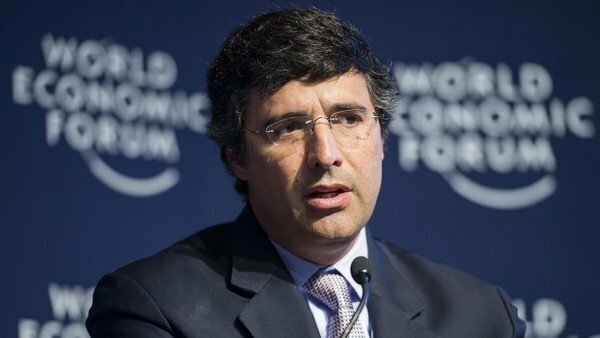 Andre Esteves, the chief executive of BTG Pactual, is one of the most senior businesspeople arrested in the corruption case. He was reportedly arrested at his home. Documents were seized both from there and from the bank’s headquarters in Sao Paulo. The government’s leader in the Senate, Delcidio Amaral, was also arrested. Andre Esteves is Brazil’s 13th richest man, worth an estimated $2.5 billion. Federal police also searched the senator’s offices in Congress. No reasons or details have been given by the police for either arrest. According to the Brazilian media, police claimed the politician was detained because he was obstructing the course of an investigation. Authorization for both arrests was given by Brazil’s Supreme Court. More than 100 people have now been arrested in the two-year investigation, including politicians and former top executives at Petrobras, and some of Brazil’s biggest construction companies. On November 24, police arrested businessman and rancher José Carlos Bumlai, a friend of former President Luiz Inacio Lula da Silva, in an investigation into loans benefiting his companies and President Dilma Rousseff’s Workers’ Party. Mass protests have been held across Brazil with demonstrators calling for the impeachment of President Dilma Rousseff. Support for Dilma Rousseff has fallen to single-digit figures in recent polls. Many voters have accused her of failing to stamp out corruption and blame her for the economy’s worst slump in 25 years. Marchers Hundreds of thousands of people took over Copacabana beach in Rio and also demonstrated outside congress in the capital Brasilia. Many wore the yellow shirts of the Brazilian football team, and sang the national anthem, carrying banners saying “Dilma Out”. About 350,000 people took part in protests in Sao Paulo, police say. Another 25,000 people took part in a demonstration in the capital, Brasilia. The national day of action is the third major protest against Dilma Rousseff and her left-wing Workers’ Part this year. Hundreds of thousands took part in demonstrations in March and April. Dilma Rousseff is less than a year into her second term as president. There have also been demonstrations in recent months showing support for the president, with many claiming calls for her impeachment amount to a coup attempt. Anti-government protesters say Dilma Rouseff must have known about a corruption scandal in the state oil firm, Petrobras, as alleged bribery took place when she was head of the company. Dilma Rouseff was exonerated in an investigation by the attorney general and denies involvement. However, several senior members of her government have been implicated. Government austerity measures are also hugely unpopular with the electorate, correspondents say, as are rising unemployment and inflation rates. A survey by the Brazilian company Datafolha showed support for Dilma Rousseff’s impeachment was strongest in the poorest areas, which backed her in the last election.